There are many reasons to love Nepal.People, Places, Ancient art, Wildlife, River, Waterfall, Mountain, Hills are the main reasons. 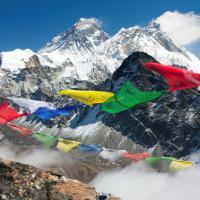 Between these; the top of the world – Mount Everest is one of the most reason to visit Nepal from different countries. Talking about to reach the Everest Base camp, you should start to climb early in the morning from Kala Patthar peak. You can see the sunrise view behind Mount Everest. During your walking time, Happy Hari Trek & Expedition guide will make your tour worthful and always ready to give you the best varieties of adventures experience and happy face when you return back. We take an early morning flight to Lukla.This scenic flight only takes 40 minutes. Lukla itself is a beautiful mountain village. We will have a break for tea or coffee. And you can buy bottled water or trekking gear if you still need anything. After our short break we will trek about 4 hours to Phakding. We will have lunch somewhere along the way. After breakfast we start our journey to Namche Bazaar – the Sherpa capital and base for any Everest Expedition. 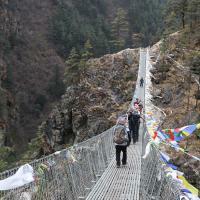 We will have to pass six suspension bridges crossing the beautiful Dudhkoshi River. There are plenty of nice small tea shops along the way where we can stop for some drinks and lunch We will stay two nights in a local teahouse. Today we stay in Namche Bazaar for getting acclimatized. 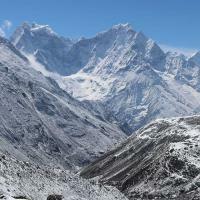 There is an optional hike to a beautiful viewpoint where we can see Mount Everest for the first time. Or visit the Sherpa museum which will give you an insight to Sherpa life. We will again leave early for this 6 hour hike. Dingboche will be our resting place for 2 nights. Dingboche is probably one of the highest villages in Nepal. In this elevation people still do farming. They grow potato, wheat and some vegetables. Today we will stay in Dingboche as this will allow you to acclimatize. There is a choice of optional hikes today. One could be the crossing of Imja Khola river and climbing steep up to the bottom of Ama Dablam, one of the most remarkable peaks in this area. Another option is a hike to Pokalde Peak from where you can absorb a magnificient view of the mountains. We are getting closer to Mt Everest every day now. On our 6 hour walk we will cross the Thukla pass where we will get dramatic mountain views. At the top of the ridge an array of stones with prayer flags remind us of the many tragically failed Everest Expeditions such as the one lead by Scott Fisher. We will stay overnight in a lodge / teahouse in Lobuche. 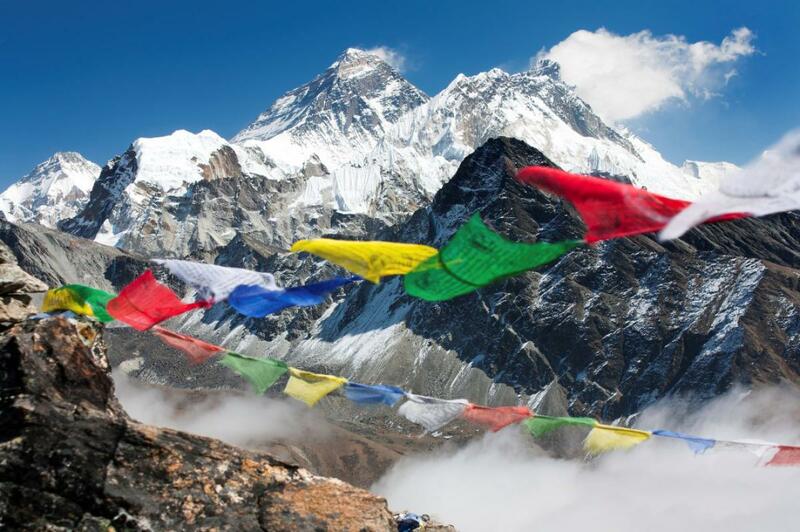 Today we will finally reach the famous Everest Basecamp. 7 hours steady uphill will bring us to the place where all mountaineers get climatized for their Mt Everest expeditionst. After seeing basecamp we will descend back to Gorakshep where we will spend our highest night on this trek at 5,194 m.
Kala Pathar / Trek to Pheriche (maximum elevation 5.550 m) This will be the real highlight of your tour! 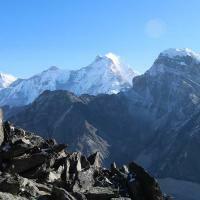 We wake up early and will climb to Kala Pathar to enjoy a beautiful sunrise view behind Mt Everest. After this we will go back to Gorakshep to have breakfast before descending to Pheriche which lies at an elevation of 4.240 m.
Today we trek back to Namche Bazar. If you like you can do some souvenir shopping here for your family and friends at home. After a good night sleep we slowly trek back to Phakding. This is our final trekking day. We will stay overnight in Lukla. We are going back to Kathmandu today. Use the rest of the day for some final shopping or simply relax.